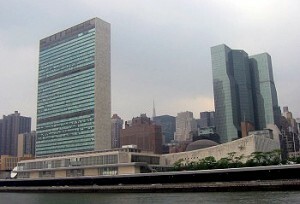 Fresh off of what they hailed as a “historic” human rights victory, homosexual activists are expected to aggressively push their agenda in the UN General Assembly set to convene later this month. Last June a small number of Member States of the UN Human Rights Council in Geneva passed a non-binding resolution calling for a study to be commissioned by the UN High Commissioner for Human Rights that will look into violence against homosexuals. This arguably weak resolution was immediately touted by the Obama Administration and others as a profound human rights victory. One senior adviser to US Secretary of State Hillary Clinton said, “Gay rights have finally arrived at the United Nations.” This small victory came after years of failed attempts to get “sexual orientation and gender identity” as new categories of non-discrimination in UN treaties. UN delegations from traditional countries are girding for what they expect will be a similar attempt in the General Assembly this fall. Homosexual advocates have wised up over the years. Where once they attempted to get the UN to agree that sexual orientation is the same as freedom of religion and other widely agreed-upon human rights, now they focus on smaller even tiny advances. And this is how human rights are now formed at the UN. Start small and blow it all out of proportion and hope no one notices. Once the General Assembly accepts a study or a commission or anything related to the homosexual agenda, no matter how small, advocates will begin announcing that a new human right has been achieved. International agencies, lawyers, law professors, and lawmakers around the world will then advance this new human right. They will focus on violence against homosexuals and advance quickly to false claims that governments will come to believe and act on. Much of this comes from a document called the Yogyakarta Principles written by a group of human rights advocates that calls for incorporating homosexuality into almost all categories of widely accepted human rights. The document has taken on the sheen of nearly holy writ in some quarters though it is only the opinions of activists. It is unclear if homosexual advocates have the votes in the General Assembly. In 2008 the French governments initiated a statement calling for sexual orientation and gender identity to be new categories of nondiscrimination enforceable in international law. They got 65 countries to sign the statement and even came within a hair’s breadth of getting the Bush Administration to sign on. At the time, a coalition of developing world countries issued a counter statement that garnered 60 nations in support. Even so, if a vote were held today calling for a new human right to homosexuality, the vote would be close and would likely fail. This is why advocates will ask the General Assembly for merely for a “study” of violence against homosexuals and why senior diplomats will oppose it.